Located ten miles south of Buena Vista on U.S. Highway 285, Nathrop was named for Charles Nachtrieb, owner of the townsite. 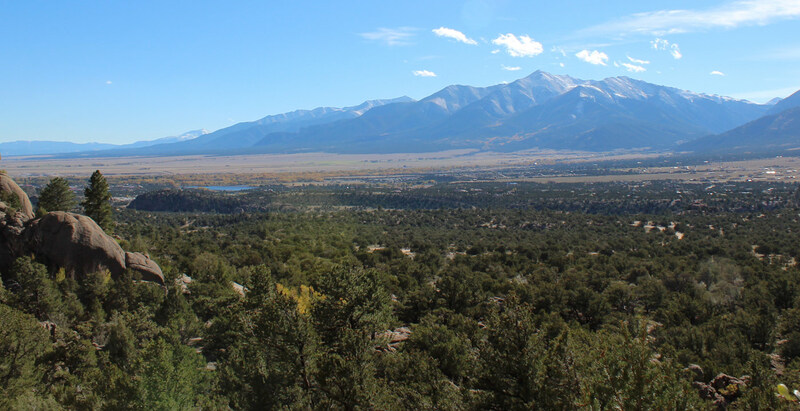 Sitting at the confluence of Chalk Creek and the Arkansas River, Nathrop has a small number of homes, as well as ranches, campgrounds and whitewater rafting outfitters. It sprung up in 1880 when it served as a railroad terminal for trains traveling north to south from Buena Vista to Salida, and also west toward the Continental Divide and the Alpine Tunnel. Today, Nathrop serves as an important landmark for locals and vacationers. Many attractions, including the Mt. Princeton Hot Springs, Agnes Vaille Falls, campgrounds in the San Isabel National Forest and the St. Elmo ghost town are all accessed from Chaffee County Road 162, which begins on the south edge of Nathrop.